The 20th edition of the Workshop on Taxation of International Transactions or TOIT as it is commonly known was successfully concluded on 27 May 2016. 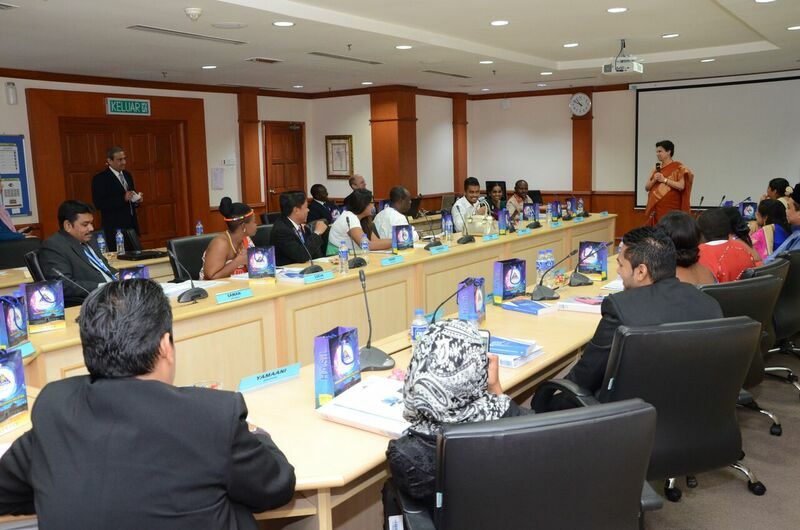 This three-week programme hosted annually by the Inland Revenue Board of Malaysia (IRBM) at the Malaysian Tax Academy (MTA) commenced on 9 May 2016. TOIT was first introduced in 1997 covering two weeks on treaty interpretation, application and practical negotiation with another one week on transfer pricing. The issues discussed have been kept up-to-date over the years with the latest developments both at the OECD and UN level. A total of 26 participants from 14 member countries, namely Fiji, Ghana, India, Kenya, Kiribati, Malawi, Maldives, Mauritius, Rwanda, Seychelles, South Africa, Sri Lanka, Swaziland and host Malaysia participated in the workshop this year. The resource persons for this workshop were drawn from the host country Malaysia, UK and also Kenya. The first week was handled by resource persons from IRBM together with a presenter from the Malaysian Ministry of Finance. The sessions included country paper presentations by participants as well as presentations on topics such as “Trends in Recent Tax Reform”, “Overview of IRBM”, “Taxation of Non-Residents”, “Interpretation and Application of Treaties” as well as selected articles in the OECD and UN Model Double Taxation Convention. During the week, participants were also treated to a visit to IRBM’s headquarters in Cyberjaya which was hosted by the Director of Department of International Taxation, Mr. Mohammed Noor Ahmad, who is also the new Course Director for TOIT upon the retirement of his predecessor, Mr. Mansor Hassan. The visit included a briefing on IRBM’s human resources management. Week 2 on tax treaties was conducted by Mr. Douglas Rankin working alone, with Ms. Esther Koisin and Mr. Fauzi Saat from IRBM lending their support for the mock negotiation session. Mr. Douglas Rankin has certainly contributed immensely to this programme since he took charge of week 2 in 2004 and he has never failed to leave an indelible impression on all participants over the years. This could well be his final TOIT as he is planning to retire from HMRC in 2017 and this will be a huge loss to this annual event. Week 3 on transfer pricing was covered by Mr. Nick Shepherd from HMRC and Mr. Anthony Munanda from the Kenyan Revenue Authority, both of whom performed very well. The three weeks were filled with presentations and discussions during classes. Participants interacted very well with the level of discussions fully justifying the training. In the evenings, participants had fun filled activities including a BBQ dinner with karaoke performances by participants, sporting activities such as futsal, volleyball and of course, visits to the city. Weekends were filled with tours to nearby places of interest as well as a visit to the Historic City of Melaka, a UNESCO World Heritage City. These activities contributed much towards making their stay in Malaysia an enjoyable one besides creating good camaraderie amongst them. At the end of the programme, participants were each presented with a certificate of participation and on hand to do the honours was Ms. Asriah Saari, Director of MTA. Also present were Mr. Mohammed Noor Ahmad, the Course Director for TOIT and Dr. Nik Abdullah Sani, Director of the Centre for International Training, Research and Innovation, MTA. The success of this workshop owed much to the support and cooperation between CATA and IRBM as well as the participating CATA member countries. Finally, it also owed a great deal to the efforts of the organising team led by the Head of Programme, Mr. Jayendra Patel and his team of dedicated officers who went to great lengths to ensure the success of the workshop and that TOIT 2016 would be an unforgettable experience for all.